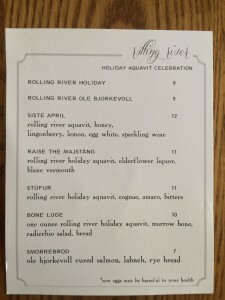 Fenrir is hosting a Release Party for our Rolling River Spirits Bjørkevoll’s Holiday Aquavit this Thursday June 25th from 6:00pm to 9:00pm. 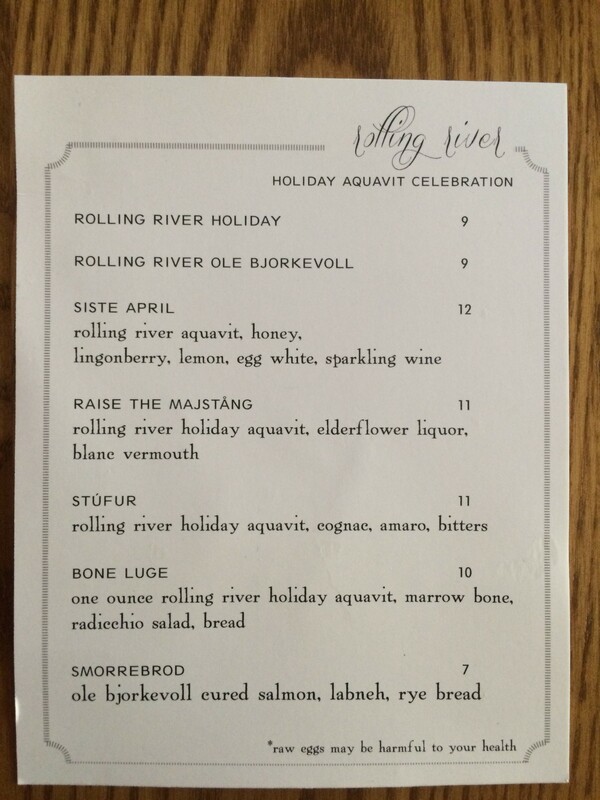 Master Distiller Tim Rickard will join them behind the bar for an evening of drinking and education as we release our Holiday Aquavit! They’ll be mixing up special cocktails to pair with Fenrir’s wonderfully delicious Scandinavian fare! For more information check out Fenrir’s Facebook event page. 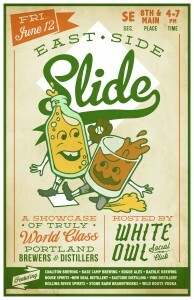 The art of Whitney N. North will be shown in the Rolling River Spirits tasting room from June 12th to July 26th. I can conclude that I paint what I paint because that is what I have in me to paint; and the images that lurk behind my eyes desire to come out into the light. Sometimes a simple suggestion for a new subject matter can spark a blazing fire of creativity inside me, sometimes I just feel like challenging myself and trying something new, other times I do the same subject over and over again in different colors, patterns or sizes because I enjoy improving upon my previous attempts. That is the truth in the simplest terms that I can describe them in. I like to work on a large scale because I feel that it gives me more space for expression. Think of my general aversion to smaller canvases as creative claustrophobia. I use acrylic paint because I don’t enjoy waiting for oil paints to dry and because I dislike the lucidity of water colors. 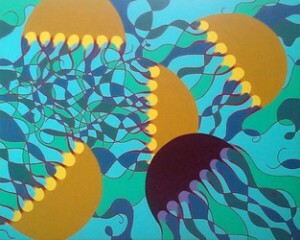 I prefer not to blend my colors, instead using areas of flat color to add to the simplicity of the images I create. To my way of thinking, if you can tell it’s supposed to be a tree then it’s a tree. As for “how to appreciate my work”, “how to look at my work”, or “how I hope others will see my work” I will leave that up to the viewer. I simply hope that the work that I create will evoke a fraction of the emotional response in others that creating it brings to me. 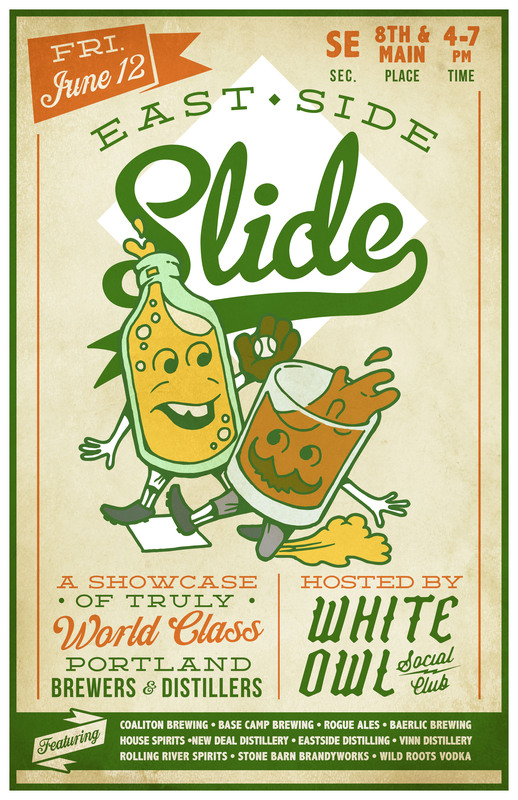 The gang at White Owl Social Club is throwing a party with some of their favorite central east side brewers and distillers. Come hang out, rub some elbows, eat some tasty White Owl grub, and sample some of the finest beer and booze Portland has to offer, all on their famous patio. Cheers to summertime!